A lot of people like hiking and there are numerous reasons for that. Some people do it because it is a part of their fitness routine or they would like to feel harmony with the nature. And, they would like to share this pleasure with the dogs. But, you need to take into account the fact that different dogs were bred for different purposes. For example, German Shepherds are popular police dogs while pointers are considered to be great hunters. 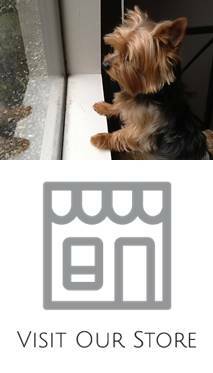 There are a lot of Yorkies for sale but it is rather difficult to define whether a Yorkie is purebred or not. There are some recommendations for those who want to breed Yorkies and are interested in the best representatives of these dogs. Before spending any money, you need to carefully examine a dog and consider physical characteristics. When it is your first time to buy a Yorkshire terrier, one of the decisions you need to make is to get whether a male or female Yorkie. There are specific characteristics that male and female Yorkshire terriers have. These traits can help you make the smart decision when getting a Yorkie. It is great when you take a decision to get your first Yorkie. It is like getting a new member of your family and a lot of care should be provided. The first thing you need to do is to make your home a comfortable place for your pet. Your house is supposed to be safe and you will need to get the basis supplies your pet will need. It is a great responsibility and you should not think that feeding is the only thing you will need to do. Yorkies are really popular for their small sizes and the ability to change colors of their fur. It’s an interesting fact that all Yorkie puppies have the same two colors when they are born but, when they get older, they usually change their colors. The most frequent colors of their fur are black and tan but, of course, there are some exceptions. If you are suffering from mild and severe allergic reactions, then it is rather difficult to find a dog breed that will not cause any allergy symptoms. The first dog to consider is the Yorkshire terrier. They can become ideal pets for those ones that suffer from acute allergy symptoms but you should not forget about the proper precaution. Yorkies are mostly considered to be hypoallergenic dogs but at the same time they are not allergen free.